From the Manhattan Project that created the atom bomb came a technology even more powerful and invasive – the digital computer. John Rogers charts the origin, rapid rise and possible future of computers in Decision Problem [Good Time for Questions]. Drawing on his experience in creating cutting-edge theatre with Waterdonkey and Side-Show and his long term curiosity with computers and all things electronic, Rogers takes the audience on a journey that reveals the wonder of the digital universe and questions what the future has in store for humanity. Decision Problem [Good Time for Questions] is a creation myth for our new age. The devising process for Decision Problem [Good Time for Questions] began in early 2012 with months of reading and experimentation. 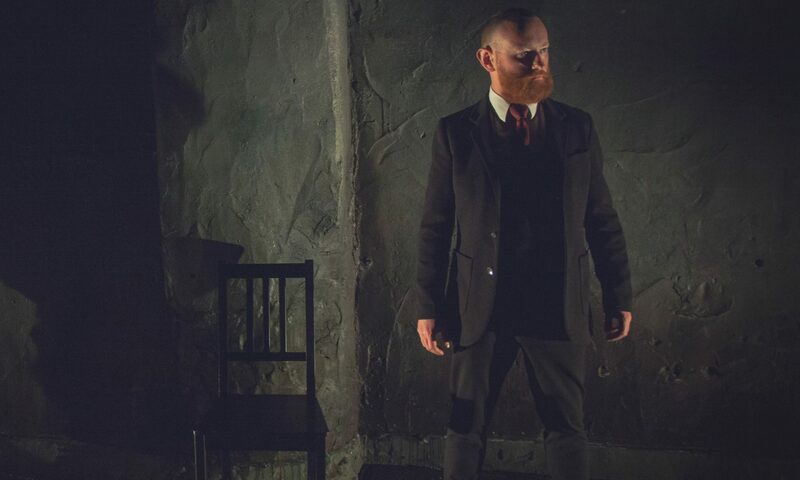 A three-week rehearsal run took place in October 2012 and was followed with work-in-progress performances of the play for the public in Galway. The next phase of the process included further development followed by a work-in-progress performance at FringeFUSE in Dublin in early 2013. Rehearsals began again in July 2013. The play premiered at the Dublin Fringe Festival in September 2013 and was shown at Galway Theatre Festival in October 2013.